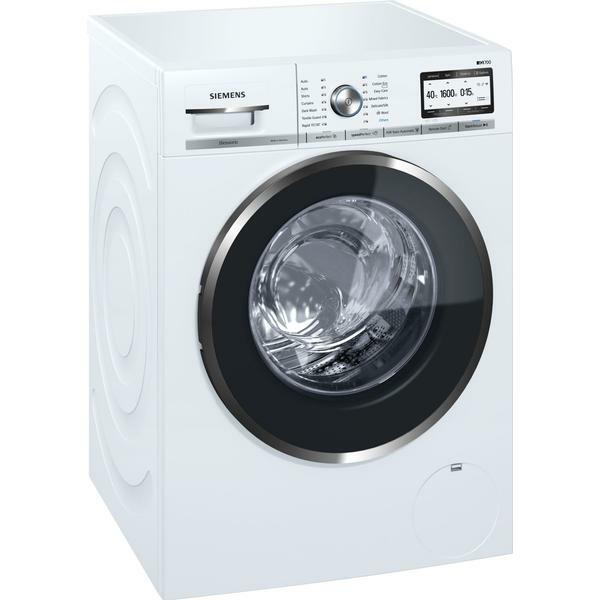 alaTest has collected and analyzed 7 reviews of Siemens WM16YH79GB (White). The average rating for this product is 5.0/5, compared to an average rating of 4.6/5 for other products in the same category for all reviews. So quiet I forget it’s on. "Looks good. Works efficiently and quietly then tells me when my laundry is ready even when I've forgotten all about it. That alone makes it worth the money so I would recommend it to anyone." "Clothes have never felt or smelled so good, and it's really fast." "Everything is first class , easy to use and understand "
"Great product , typical Siemens quality , machine was a direct replacement ,I'm a great fan of Siemens brand "